If you’re planning on running an event, this resource is like The Bible. Developed with the guidance of Peter Rietz from Rietz Law Firm, this guide includes considerations for legal and insurance, communications and emergency planning, staffing advice, sanctioning recommendations, and more. 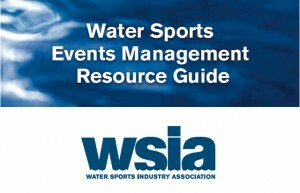 Available for WSIA members only, this Events Management Resource Guide has been developed to serve as a resource for ski and wakeboard schools, marinas and boat dealers, lake owners, ski clubs, camps, wake park operators, pro shops, boat manufacturers, equipment manufacturers, sanctioning bodies, and other watersports retailers and venue providers, (“Watersports Providers”) that conduct special events at their facilities. All photography by Joey Meddock. MEMBERS, CLICK HERE FOR ACCESS!